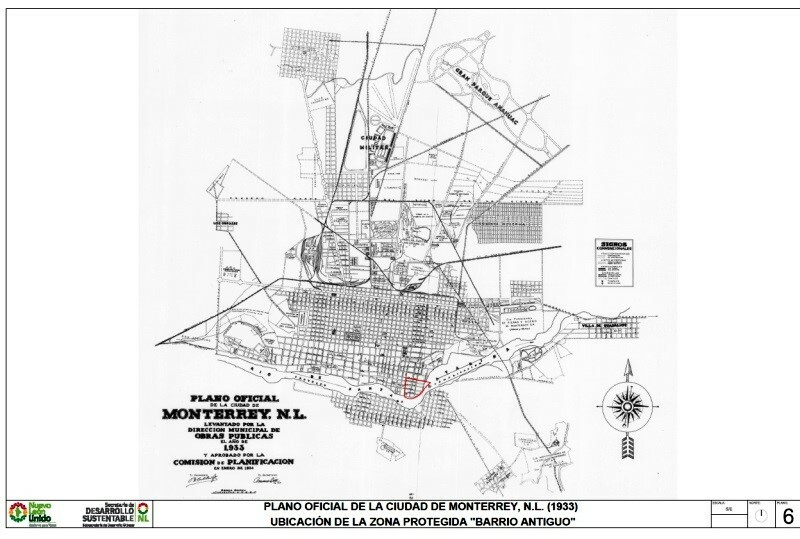 A series of historical maps of the city of Monterrey was published earlier this year in the city’s online Catalog of Buildings of Historic and Artistic Importance in Barro Antiguo, The maps, dated 1765, 1791, 1846, 1865, 1922, 1933 and 1947 respectively, offer a good basis for considering the urban growth of Monterrey, the industrial powerhouse of northern Mexico. But just how did Monterrey develop as a city? 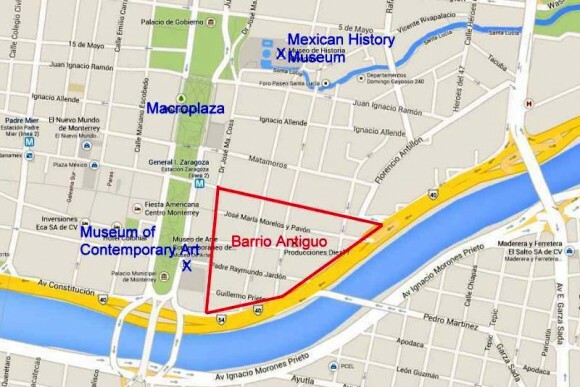 In each of the following historical maps of Monterrey, Barrio Antiguo (16 blocks in size in the present-day city) is marked by a red quarter-circle, which is an easy way to check each map’s orientation and scale. 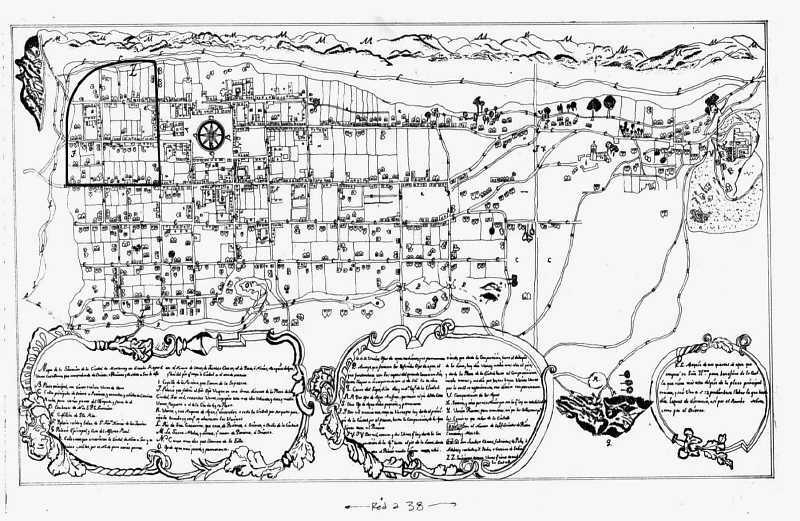 Monterrey was founded in 1596. 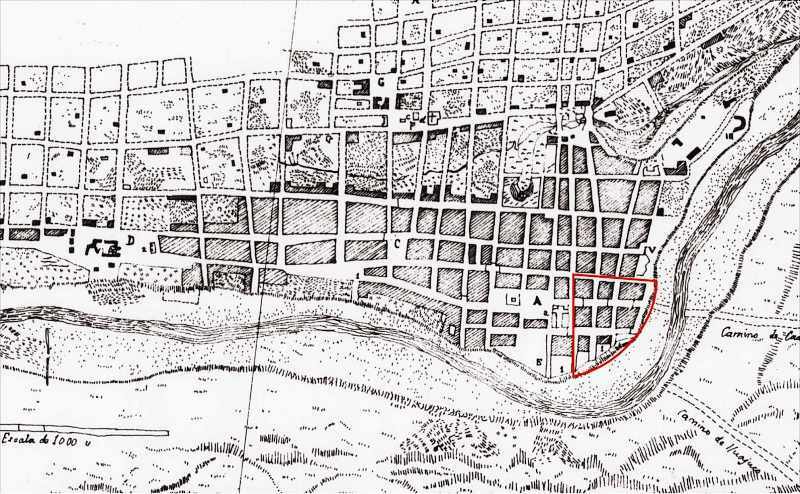 The earliest map in our series, for 1765, shows that, even by that date, Monterrey was still a relatively small settlement situated between a (seasonally dry) “stream formed by various springs” (to the top of the map, north) and the seasonally-dry “Monterrey River” (now called the Santa Catarina River). 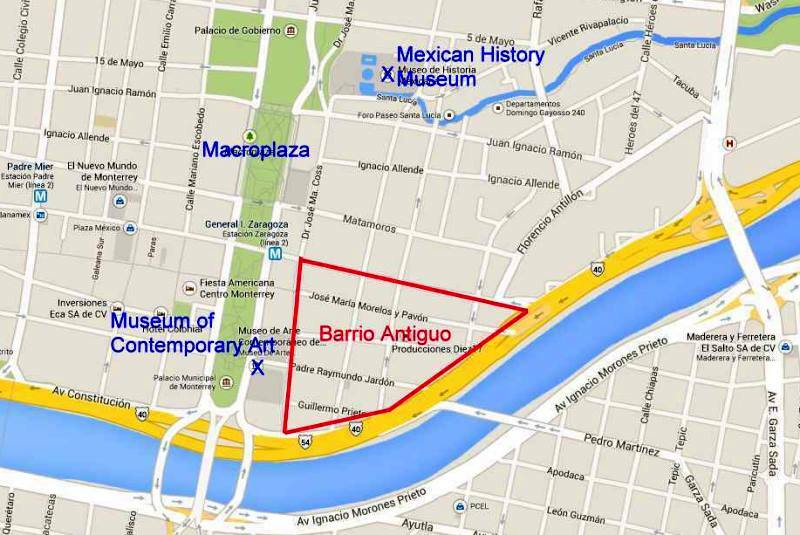 The Barrio Antiguo is shown as mostly an empty area, with only one major construction. 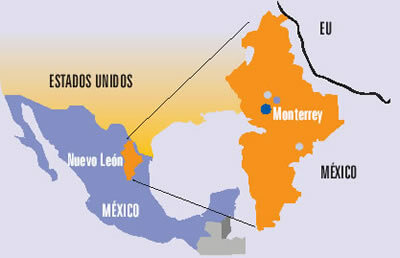 Clearly, Monterrey only emerged as a real city after the colonial period which ended in 1821. 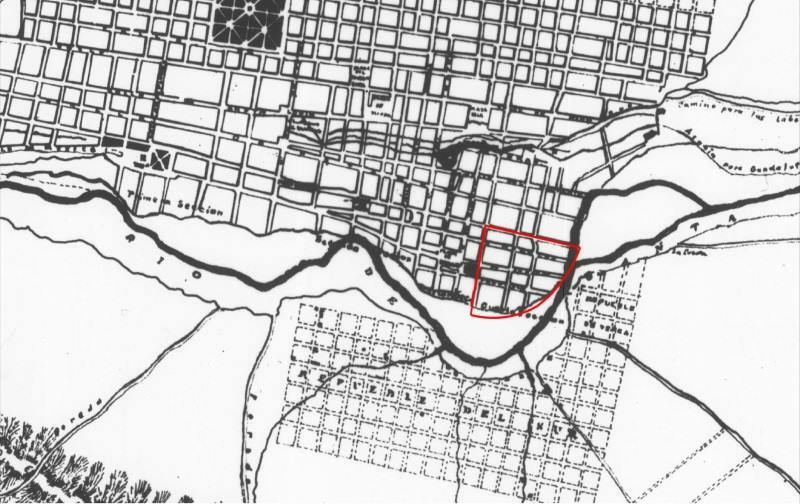 The relatively small city did not experience real growth until late in the 19th century when it became connected by railroad and started to attract industrial development. Early in the 20th century, investors built the then largest iron and steel works in Latin America a few kilometers east of the city center. 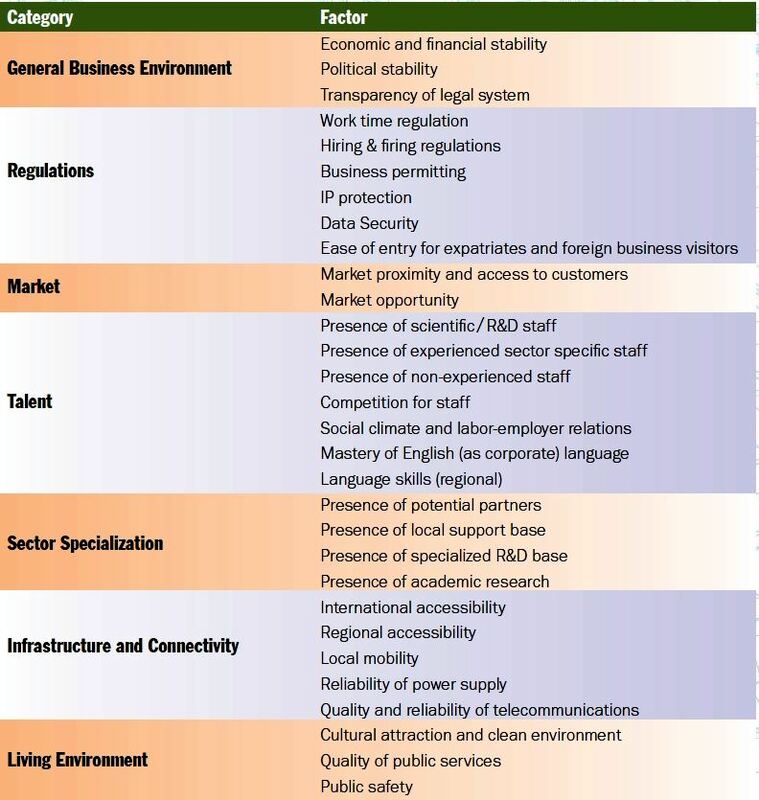 Many related industries located nearby. These industries and the railroad, which ran east–west about four kilometers (2.5 mi) north of the city center, stimulated early industrial development in these directions. Developers established low income housing tracts for industrial and other workers on the east, north and west periphery of the city. Neighborhoods for the wealthier classes were developed south of the city center. The city experienced another surge of industrialization and immigration in the 1950s and 1960s. Industrial development continued after 1970 when the national government implemented policies to shift development away from Mexico City. Monterrey became a major producer of steel, metal fabrication, cement, beverages, petrochemicals, food, telecommunications, auto parts, glass, and house furnishings. It also developed into a major financial center and one of the wealthiest and most progressive cities in the country. Low income housing became a serious problem after the 1960s as the inner city tenements became extremely crowded. The government was not sympathetic to irregular housing schemes, so low income groups established numerous illegal squatter settlements on vacant land near the industrial zone. Government made a few efforts to remove these, but most survived and eventually became regularized. The high status sector expanded south-west into San Pedro Garza García, which became one of the wealthiest municipalities in Mexico. The high overall income and wages in the city meant that many workers could afford home ownership and private automobiles. As a result, many gated communities (large and small) and suburban shopping malls were built around the urban periphery. The urban area became relatively fragmented with many low income residential zones located near high income areas. 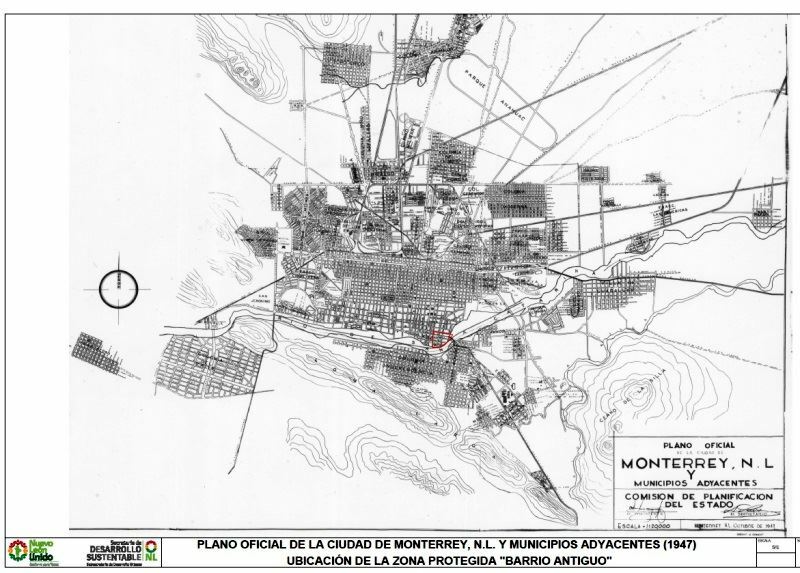 The city of Monterrey in Nuevo León has begun an urban regeneration scheme to rejuvenate one of its oldest sections, Barrio Antiguo (see map below). Barrio Antiguo is the area to the east of the Macroplaza. It is bounded to the south and east by Avenida Constitución, to the west by Calle Doctor Coss and to the north by Calle Padre Mier. The Catalog includes a series of historic maps, from 1765, 1791, 1846, 1865, 1922, 1933 and 1947 respectively, as well as modern maps showing the location of all individual properties in Barrio Antiguo, color-coded to show their importance in terms of conservation and restoration efforts. 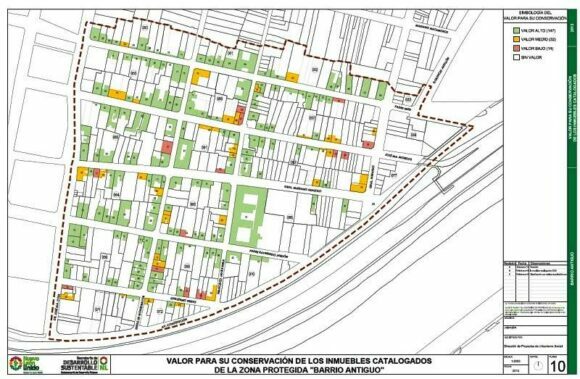 The first phase of the urban regeneration scheme (called “Nuevo Barrio Antiguo”) includes a “paint job” in which all the buildings in the Barrio’s 16 blocks (manzanas) will be repainted in pastel colors. Owners can choose from a palette of pastel colors that has been predetermined as being in keeping with the historic and architectural characteristics of the area. 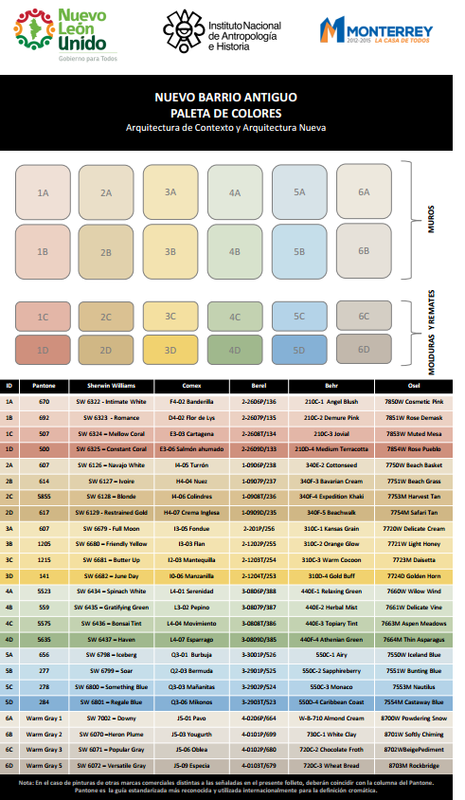 Click here for the approved colors, complete with color swatches, and the matching paint names for different manufacturers. During the first phase, new street signs will be installed, as well as tiles highlighting associations to famous people who lived or worked in the Barrio Antiguo. A second phase will restore sidewalks, add new street lighting, and involve public consultation about creating cultural and recreational space. 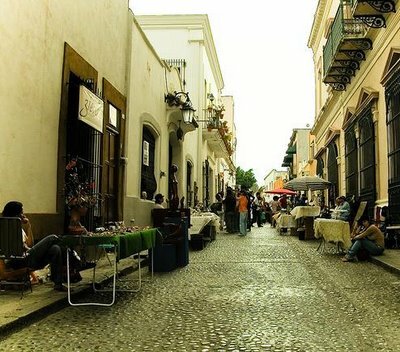 Some streets would also be pedestrianized. Planners would seek to ensure that a wide mix of land uses is retained in the area, including residential, and that the area becomes attractive to visitors and tourists. The accessibility of Barrio Antiguo would be boosted if (or when) Line 3 of the city’s Metro system is built, since its proposed route would start near Barrio Antiguo and run 7.5 kilometers to the Metropolitan Hospital. The Catalog identifies 193 buildings from the 18th, 19th and 20th centuries as being worth preserving, and the catalog entries for individual buildings provide a cross-reference to other listings of historic buildings such as those previously compiled by the National Anthropology and History Institute (INAH) and state-level agencies. The oldest building in Barrio Antiguo apparently dates back to 1765, while La Casa del Campesino incorporates parts of an even earlier building (from 1728). The listed buildings cover a range of architectural styles ranging from what is described as “vernacular north-eastern architecture” to neoclassic and art deco. As Monterrey has grown, the condition of Barrio Antiguo’s building stock has deteriorated significantly. During the 1990s and 2000s, many buildings were turned into twilight zone businesses such as cafes, bars and nightclubs. La Casa del Campesino has been repeatedly re-purposed over the years, serving at different times as a government building, charity, hospital, and even a short-term emergency shelter following severe floods in 1909. Not everyone is happy about the regeneration plans. Critics are vocal about the potential interruption to commerce and small businesses, and fear that it will attract land speculators. 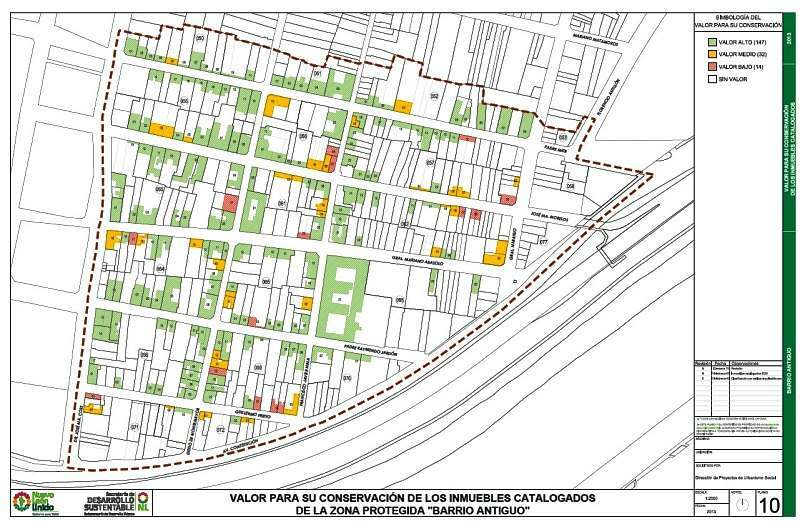 In addition, this is not the first time that plans have been hatched to regenerate Barrio Antiguo. Grandiose plans have been announced on several previous occasions but have never come to fruition. 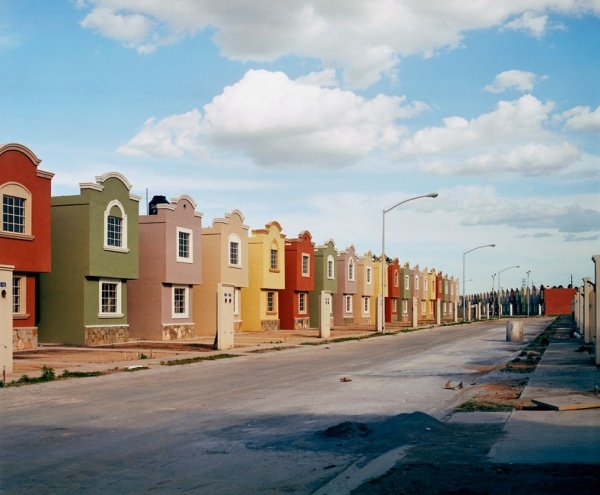 What do Mexican suburbs look like? What is their function? As the country’s towns and cities continue to expand, new suburbs appear on their outer edge. Some are gated communities, generally aimed at high income families; these suburbs sometimes include private schools and sports clubs. Other suburbs offer smaller homes aimed at low-income families. Photographer Alejandro Cartagena lives in the Monterrey Metropolitan Area, which includes nine different municipalities in the state of Nuevo León: Monterrey, Guadalupe, San Nicolás, San Pedro, Santa Catarina, Escobedo, Apodaca, García and Juárez. Cartagena spent years exploring the edge of the city to document the manifestations of “suburbia mexicana” through photographs. The suburbs he depicts are mainly low-income suburbs, some still being constructed. Cartagena recognized that change was happening at a very rapid pace, and often by developers with more lust for profit than desire to improve the local community. Since 2001, more than 300,000 new homes have been built in the Monterrey Metropolitan Area. Many suburbs were badly planned, as some of Cartagena’s photos clearly reveal. Considerations of roads, parks and public transport are often ignored in the decision-making of these developers. Copyright: Alejandro Cartagena. Image from "suburbia mexicana". Reproduced by kind permission. Fragmented Cities explores what the homes look like, as if being photographed for a real estate brochure. The Other Distance attempts to “connect the wealthy with the new-middle and low class urbanization models” by looking at San Pedro Garza García, which is one of the richest municipalities in Mexico, and easily the wealthiest part of the Monterrey Metro Area. Quoting geographer David Harvey on the “inter-connectivity between urbanization and capital accumulation”, Cartagena explores the economic contrasts that have created two distinct spaces (based on wealth), one that lacks specific “social cohesion space” such as parks, not designed to take into account “infrastructure, hospitals or education centers”, and one occupied by the wealthy sectors of society where such things are considered their “right”. 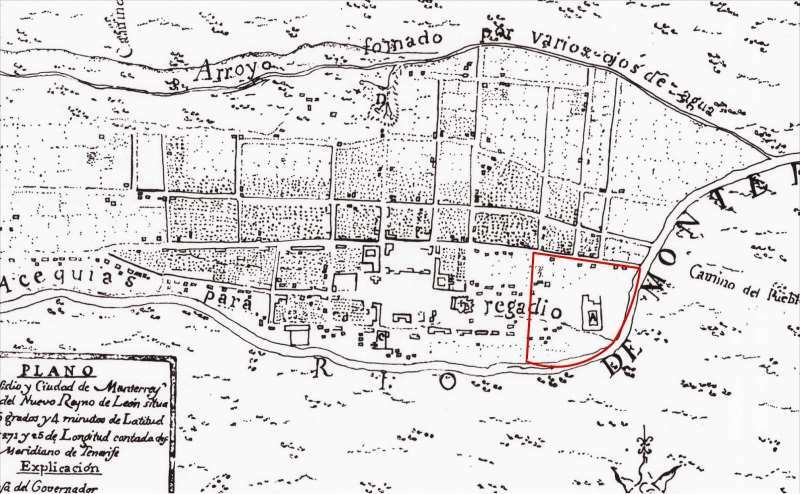 Cartagena recognizes that both these spaces have an interdependent symbiotic relationship. Urban Holes depicts abandoned spaces in downtown Monterrey, so “highly overpriced by market speculation” that “investors look to un-urbanized land to create new developments that are lacking all kinds of infrastructure”. 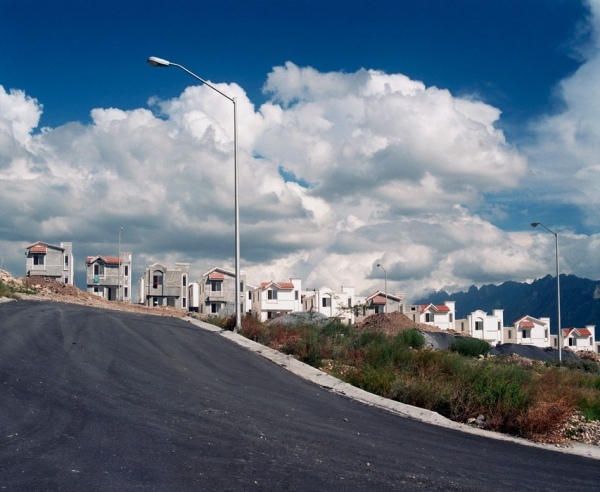 The People of Suburbia, the final section, is based on a return to some of the areas photographed previously, including the municipality of Juárez, where urbanization has led to the population tripling since 2002. It is a “visual study of the unending capitalist endeavor of urban growth”. In Cartagena’s own words, the photos of “suburbia mexicana” “depict a global issue from a local perspective” and one his intentions is “to point out the struggle our contemporary world faces between the ideals of capitalism and the striving and desire for fairer and more equal cities in which to live.” As such, this splendid collection of photographs certainly deserves the widest possible audience. If you like Alejandro Cartagena’s work, you may like to know that he has published a book of “suburbia mexicana”, available via his website.